Monkey Shines: First Time For Everything! Everyday ramblings and doings of a middle aged mama (50 is the new 30, right?). First time I've had a guest blogger but I'm hoping it won't be the last! So, introducing my daughter-in-law, Tawnya with her "first" post! We went camping this last weekend and for us there were several firsts. It was our first time to go with friends and group of other people we did not know. It was our first time staying on a property that was not a state park and did not have electricity. It was also our first time to take the kids out with 4wheelers and these little truck things. We were also planning on letting the boys shoot a few guns that we have. The boys had a blast driving the trucks and 4wheelers. They surprised me at how well they took to it. Carson rode like that's what he has done everyday for the last few years (he did better than I did lol). Corbin drove the truck and knew just what he was suppose to do. As you will see in the video he is telling me something about being in neutral and starting off slow. 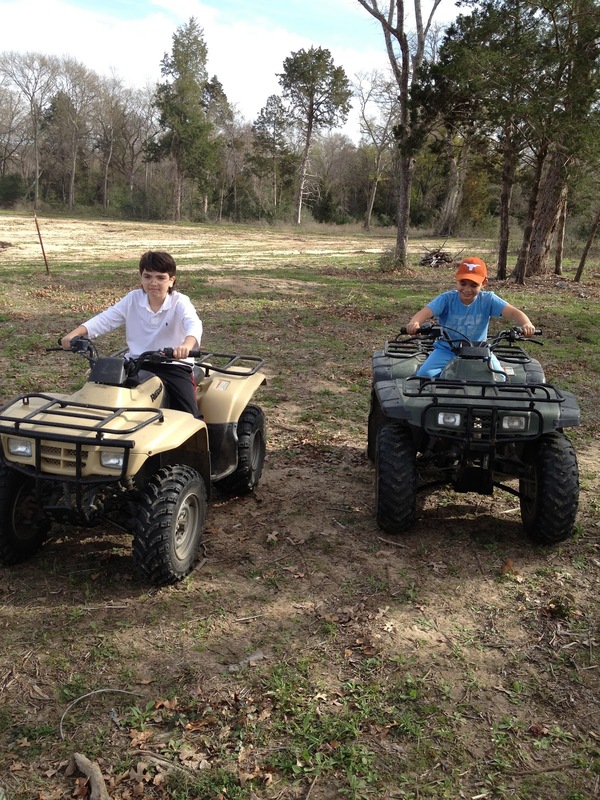 It was so fun watching my babies act like big boys playing on big toys getting dirty and having a blast. The next day we took the boys out to teach them how to shoot their 22 rifle. They took to it like pros! They remembered all the safety rules and were very cautious and respectful when others were shooting. It was great to see that my boys can be mature when the time calls for it. It was a great time and I hope we can do it again soon. OCTOBER 3 Leave for China! SEPTEMBER 6 Article V Received! AUGUST 13 NVC Letter Received! JULY 23 Returned Signed LOA! APRIL 2 I800 Approval! Unbelievable 3 day turn-a-round!